Most times we’re not interviewing professional actors. We’re interviewing experts in their particular field - most of which do not have on-camera experience. It's best not to give them the questions ahead of time because they will try and memorize their answers word for word. 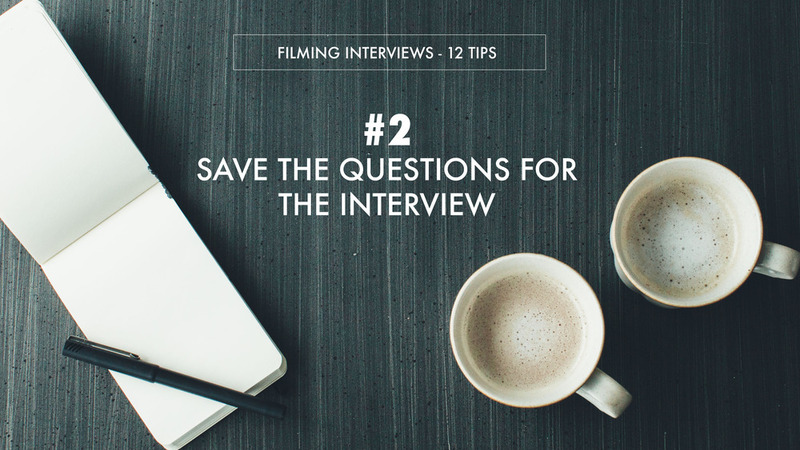 I'd much rather answers that are not premeditated answers, so that the subject will appear relaxed and natural on camera. Tip: It’s appropriate to give them an idea of the questions you’ll be asking, but not your list.